THE Friends of RSPCA is struggling to save pets from death row, as owners opt to have their animals destroyed because it's the "easiest option". 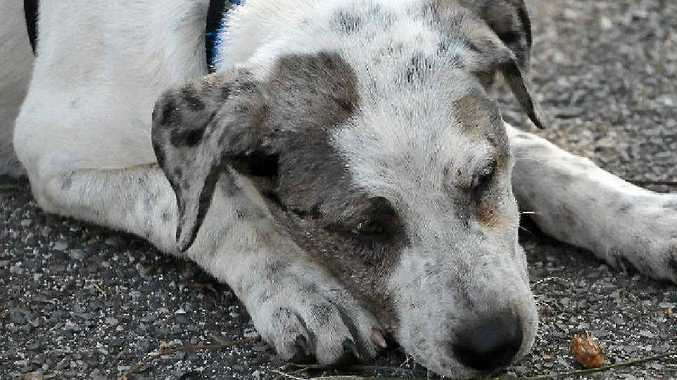 Gladstone Regional Council's animal services euthanise an average of 28 pets each month, and in some cases it's the owner who gives the animal the death sentence. Councillor Col Chapman said if animals could not be re-homed through the RSPCA or collected by owners, they were "destroyed as per council protocols". Last month, 17 pets were euthanised, compared with 94 that were released from the council pound. But about half of those set free went straight to the Friends of RSPCA, who are already stretched to the limit. Friends of RSPCA president Judy Whicker said owners often approached them first before surrendering their pets to the pound. "We get the excuses all the time like moving house or going on holidays," Ms Whicker said. "To them, handing their animal over is just the easiest option," she said. "I can't understand people just giving their animals away, you have a responsibility to that animal, and it is totally irresponsible." Ms Whicker said the Friends of RSPCA would love to save every animal, but it was physically not possible. And it's about to get worse when their adoption centre shuts down next week. Ms Whicker said the local charity would struggle to house all the animals until the new adoption centre was finished being built. "We are going to be in a real predicament over the next couple of months with not having the centre available to house some of our pets," she said. This Saturday marks the final dog adoption day before the centre closes down and discounted rates will be offered for all the "long-termers". "It is imperative that we adopt as many out as we can so that it frees up our valued fosterers so that we can take on more," Ms Whicker said. A call is also being put out for anyone who could help house pets during this difficult period. "We desperately need more fosterers," she said. Animals that are not released within these timeframes may be disposed of by the council.